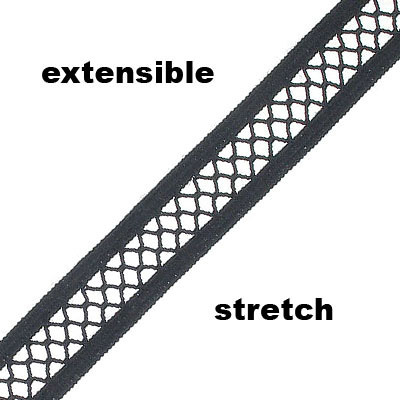 Elastic Cord for Jewelry Making - Frabels Inc.
Korean elastic cord, 1.0mm, black, 100 metres. (SKU# TTEL1F/100B). Sold per pack of 1 spool(s). Korean elastic cord, 0.8mm, black, 100 metres. (SKU# TTEL.8F/100B). 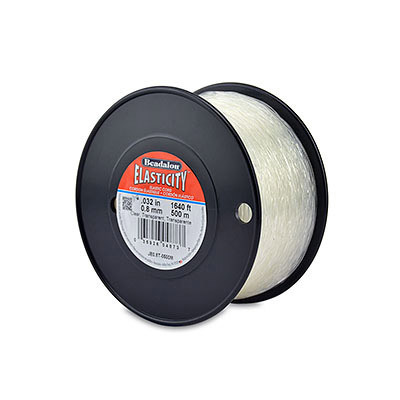 Sold per pack of 1 spool(s). Korean elastic cord, 1.0mm, transparent, 100 metres. (SKU# TTEL1F/100). Sold per pack of 1 spool(s). Korean elastic cord, 0.8mm, transparent, 100 metres. (SKU# TTEL.8F/100). Sold per pack of 1 spool(s). Korean elastic cord, 0.5mm, transparent, 100 metres. (SKU# TTEL.5F/100). Sold per pack of 1 spool(s). Elastic ribbon, 12mm, satin, flat net, black, 10 meters. (SKU# TTER12MM/NBLK). Sold per pack of 1 spool(s). 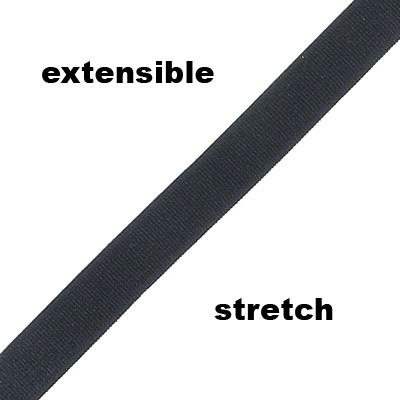 Elastic ribbon, 10mm, satin, flat, black, 10 meters. (SKU# TTER10MM/BLK). Sold per pack of 1 spool(s). Cord elastic, stretch, 0.8mm, clear, 500 meters. (SKU# TTEL.8B/500). Sold per pack of 1 spool(s). 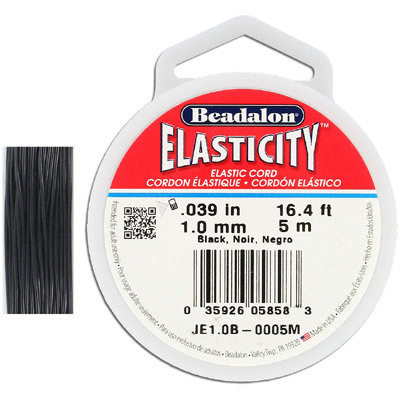 Beadalon Elasticity 1.0mm, black, 5 meters. (SKU# TTEL1B/5B). Sold per pack of 1 spool(s). 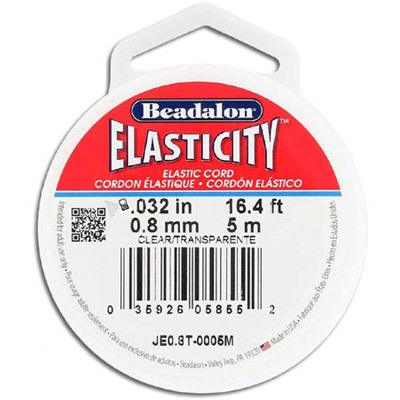 Beadalon Elasticity 0.8mm, black, 5 meters. (SKU# TTEL.8B/5B). Sold per pack of 1 spool(s). Beadalon Elasticity 0.5mm, black, 5 meters. (SKU# TTEL.5B/5B). Sold per pack of 1 spool(s). 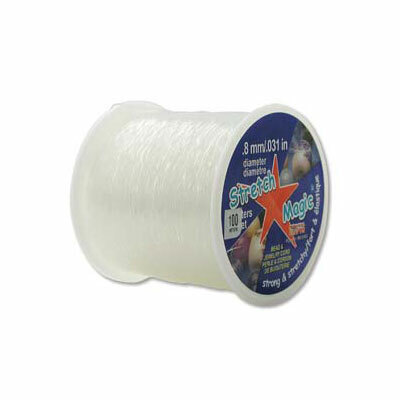 Stretch magic elastic cord, 0.8mm diameter, 100 meters, clear. (SKU# TTEL.8H/100). Sold per pack of 1 spool(s). Beadalon cord elastic, elasticity, 1.0mm, clear, 5 meters. (SKU# TTEL1B/5). Sold per pack of 1 spool(s). Cord elastic, elasticity, 0.8mm, clear, 5 meters. (SKU# TTEL.8B/5). Sold per pack of 1 spool(s). Beadalon cord elastic, Elasticity, 0.5mm, clear, 5 meters. (SKU# TTEL.5B/5). Sold per pack of 1 spool(s). Beadalon cord elastic, Elasticity, 0.5mm, 25 meters clear. (SKU# TTEL.5B/CLR). Sold per pack of 1 spool(s). 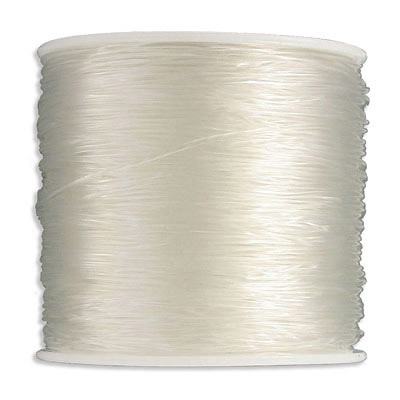 Cord stretch, 1mm diameter, 500 yards, white. (SKU# TT1MMST/WHT). Sold per pack of 1 spool(s). Cord stretch, 1mm diameter, 500 yards, black. (SKU# TT1MMST/BLK). Sold per pack of 1 spool(s). 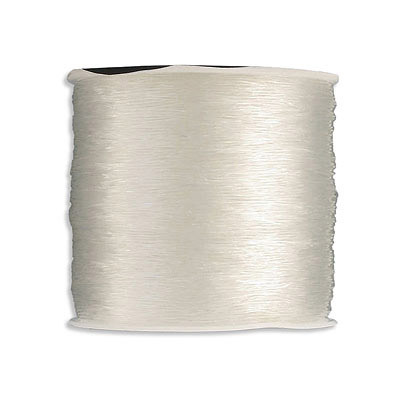 Cord stretch 0.8mm diameter 228.6 metres (250 yards) white. (SKU# TT.8MMST/WHT). Sold per pack of 1 spool(s). 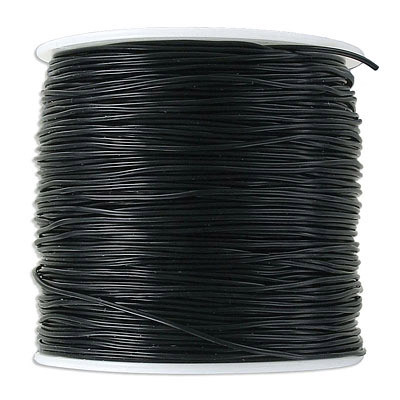 Cord stretch 0.8mm diameter 500 yards black. (SKU# TT.8MMST/BLK). Sold per pack of 1 spool(s). 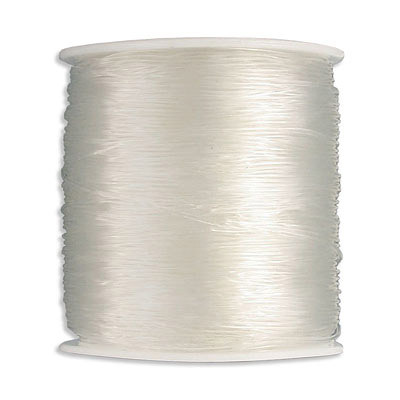 Beadalon cord elastic 1mm diameter 25 metres clear. (SKU# TTEL1B/CLR). Sold individually. Beadalon cord elastic 1mm diameter 25 metres black. (SKU# TTEL1B/BLK). Sold per pack of 1 spool(s). Beadalon cord elastic 1mm diameter 100 metres black. (SKU# TTEL1B/100B). Sold per pack of 1 spool(s). Beadalon cord elastic 1mm diameter 100 metres clear. (SKU# TTEL1B/100). Sold individually. 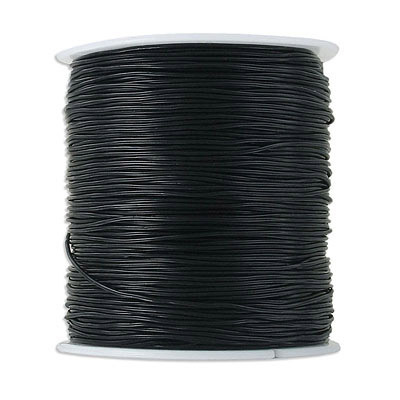 Elastic cord, 0.8mm diameter, 25 meters, black. (SKU# TTEL.8K/BLK). Sold per pack of 1 spool(s).